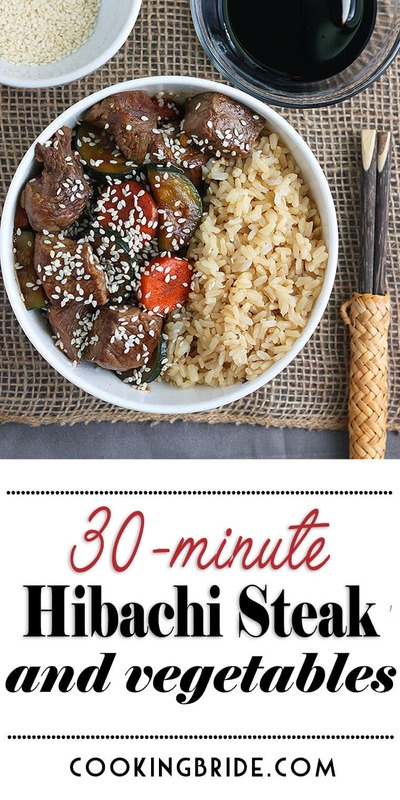 This do-it-yourself hibachi steak dinner is ready in under 30 minutes! 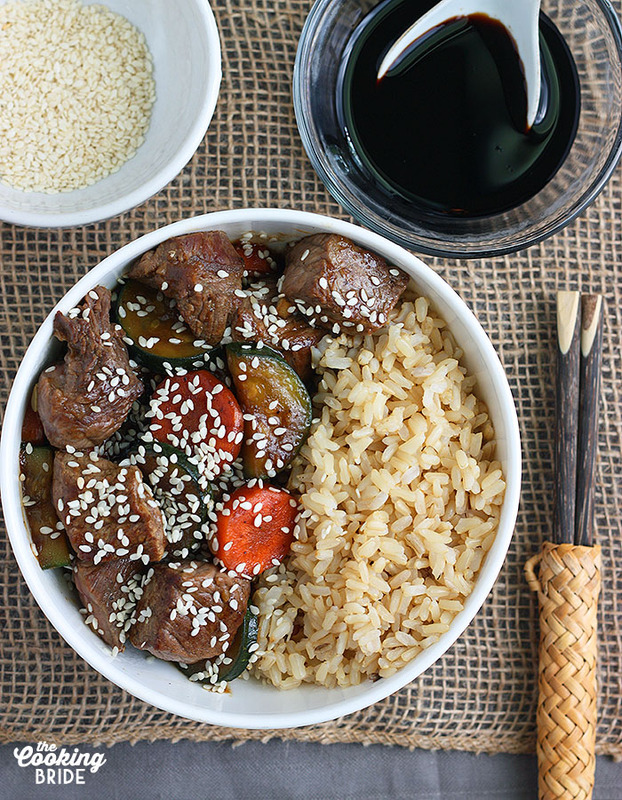 Sirloin steak and tender vegetables are simmered in a rich Asian-inspired sauce. I love a good hibachi dinner as much as the next chick. What I don’t love about going out for hibachi is the long wait (waiting + two hungry kids = someone loses their religion) and the cost. It’s expensive to feed a family of four at a Japanese steakhouse and half the time my kids eat two bites and then proclaim to everyone within earshot that they are “… soooo full! Can I have dessert now?” Nope. Does anyone else avoid eating at their favorite restaurants with their kids because they just know. It’s gonna get ugly. Someone will lose their temper. Tears will be shed. There is hope fellow moms and dads. You can still enjoy hibachi in a fraction of the time and cost of a restaurant. 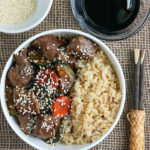 And because this hibachi steak recipe comes together so quickly, you can even enjoy it during the week. I recommend using a boneless top sirloin steak and cutting it up into cubes rather than trying to save money and buying cubed stew meat. 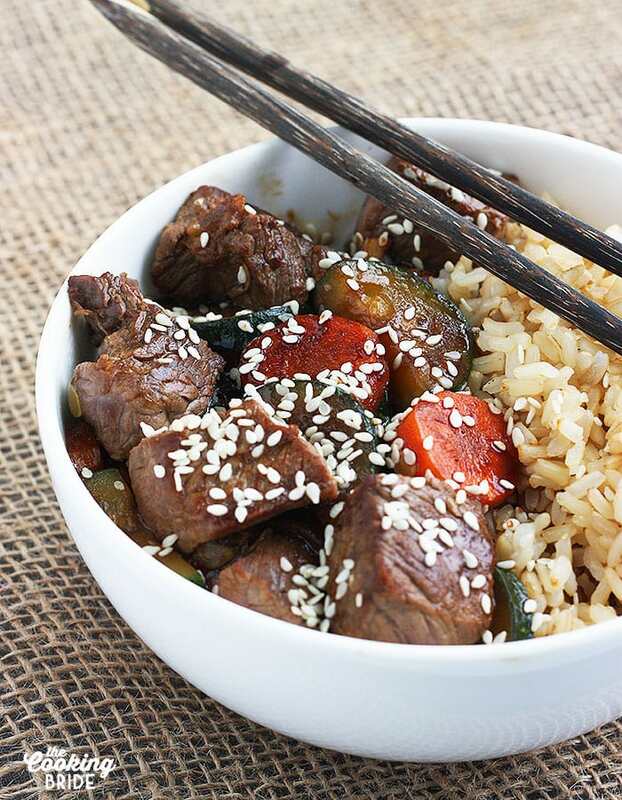 Stew meat is typically made from chuck or round, a tough cut of beef that really needs to be cooked low and slow for it to be tender enough to eat. Since we’re not cooking our hibachi steak that long, we need to go with a more tender cut of beef. 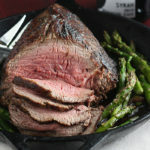 First, you want a really hot skillet to get a good, quick sear on the cubed sirloin. Pour about two tablespoons of oil in a large skillet and heat it over medium high heat. If you haven’t cubed your steak up yet, do so now. Generously season the steak with salt and pepper. Sometimes this is easier if you place the beef in a plastic bag, add some salt and pepper, seal the bag and give it a good shake. You want seasoning coating all sides of the steak. Once the oil is hot, add the sirloin to the pan. Don’t over crowd; you may have to do this in batches. Brown on all sides, but don’t cook all the way through. You still want a little pink. We will continue cooking the meat a little late when we add our sauce. 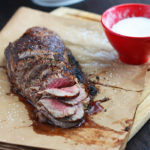 Remove the cooked sirloin to a plate and set aside. Reduce your heat to medium. If you need to add another tablespoon or so of oil, go head. Add the sliced carrots first and sauté for three minutes. Then add the sliced yellow squash and zucchini. Season with salt and pepper, then cover the pan and let the vegetables steam for another five minutes. In the end, they should be tender, but not mushy. 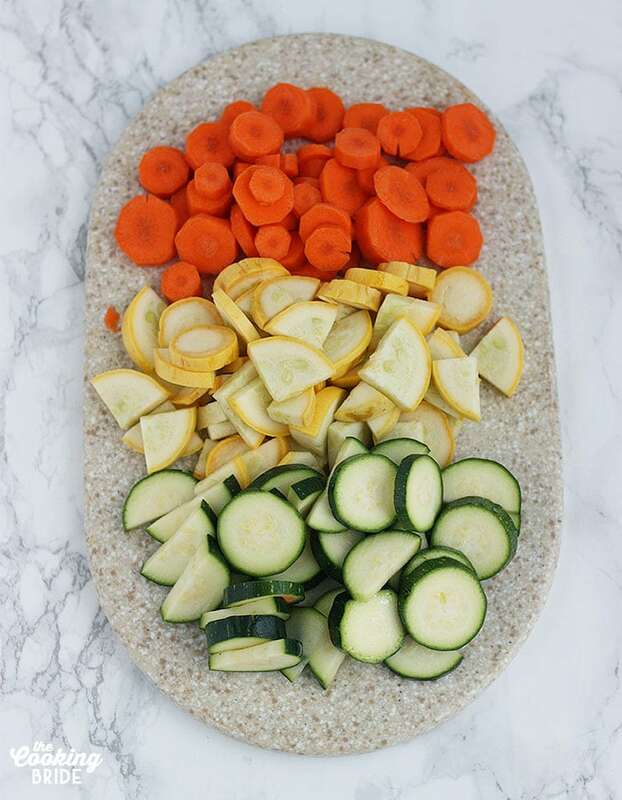 While your veggies are steaming, whisk together some soy sauce, apple cider vinegar, minced garlic, ginger and cornstarch. After the veggies are cooked, pour the sauce over top and simmer until the sauce begins to thicken, about 3-5 minutes. Add the steak back to the pan. Continue to simmer until the sauce begins to coat the meat and the steak is cooked through. 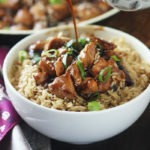 I like to serve this over white or brown rice and garnish with sesame seeds or diced green onions. Generously season the meat with salt and pepper. Working in batches, add the meat to the hot skillet and brown on all sides but still a little red on the inside, about three minutes. Remove meat from pan and set aside. Reduce heat to medium. Add carrot, zucchini, and squash to pan. Season with salt and pepper. Cover the skillet with a lid and cook until vegetables are crisp-tender, about five minutes. Whisk together soy sauce, vinegar, garlic, ginger and cornstarch. Pour mixture over vegetables and simmer until the sauce begins to thicken, about 3-5 minutes. Return meat and any accumulated juices to the pan. Stir to coat the meat with the sauce. 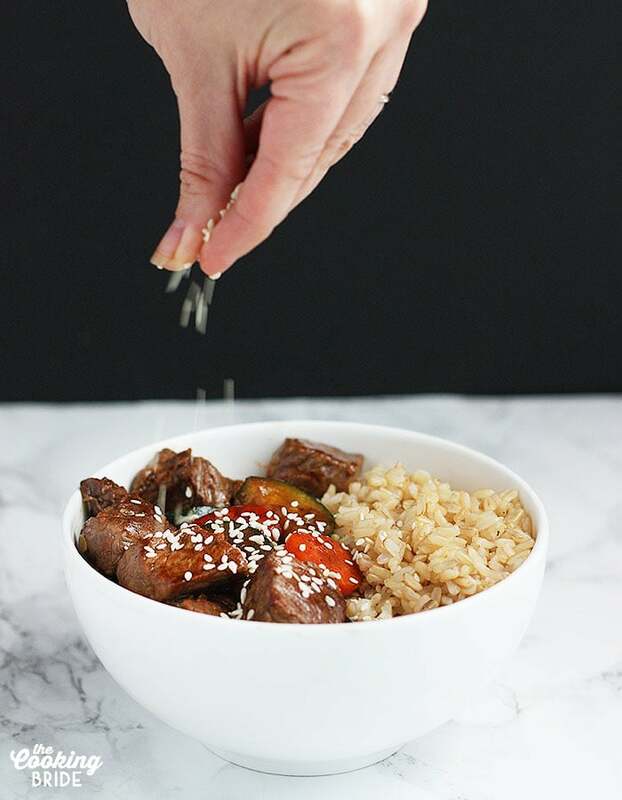 Sprinkle with sesame seeds, if desired. Serve over rice. Nothing like a meal that is delicious and easy on the pocket!